The error is "The application was unable to start correctly (0xc00005). Click OK to close the application""
Does any of you have the same error, or someone knows how to fix it? I tried uninstalling the Windows 10 update and restart the machine, but it didnt work neither. I think other users who encountered this and fixed, said it was their Antivirus messing with TitanRO. 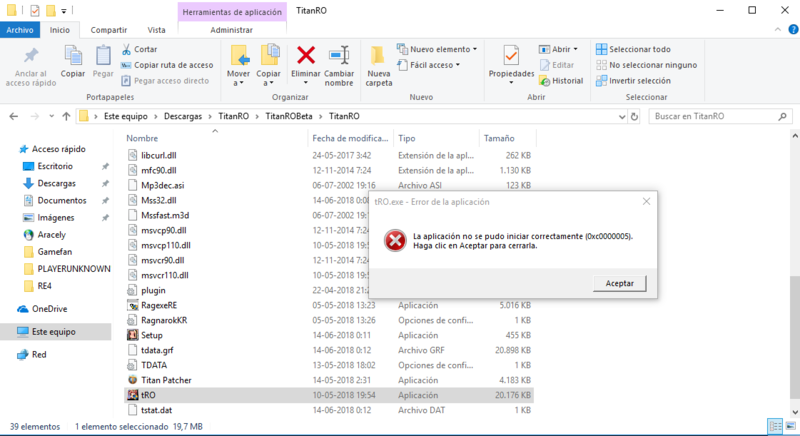 If you change the antivirus to allow this folder/files, you can delete tstat.dat to get all the patches again, if needed. Can you please give me the link to those users' post that you talk, I can not find them. After you uninstall the antivirus, make sure you re-install the RO files.